Sync your data with Money Pro for Windows 10! One last thing for 2018. We promised to release Money Pro sync service for Windows before the end of the year. 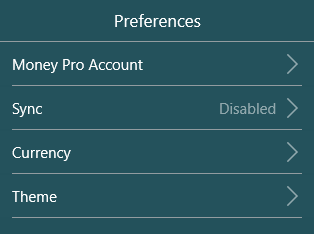 Starting today Money Pro for Windows 10 supports Money Pro Sync (cross-platform & family sync). Money Pro Account with an active subscription (PLUS or GOLD) is required for the new sync to work. Firstly, you need to activate Money Pro Sync on your other devices (set up Money Pro Sync on iOS/Mac/Android). Finally, sign in with your Money Pro Account and activate Money Pro Sync on Windows 10. Let us know what you think about the new service. More to come in 2019!